Home / Column / Shrewd Mia’s no-confidence motion . . .
Shrewd Mia’s no-confidence motion . . . I am looking forward, with great anticipation, to the forthcoming parliamentary debate on the Opposition’s no-confidence motion against the beleaguered Freundel Stuart administration. Already adjudged by the court of public opinion as the worst Government in our post-Independence history, the incumbent administration’s track record has Barbadians frustrated, disappointed and disillusioned on a scale never seen before. With the approach of the golden jubilee of our Independence, it really should be the best of times. Lamentably, in terms of the psychological state of the nation, it is indeed the worst of times. To be honest, I reluctantly listen to House of Assembly debates nowadays. Gone is the captivating oratory of yesteryear which made listening a richly rewarding intellectual experience; gone too are the passion and conviction with which issues were articulated. Such can only happen, however, if politicians are grounded in a well-defined philosophy of politics that provides a clear understanding of how state power should be exercised in pursuit of specific social objectives. for my children. 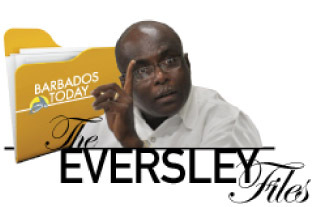 From what I keep hearing on the ground, it seems most Barbadians feel the same way too. Coming a year and a half before the next general election is constitutionally due, bringing the no-confidence motion at this time, in my professional opinion, is a good strategic move by Opposition Leader Mia Mottley. With increased public anxiety over the economy, following the latest Moody’s downgrade which has reinforced doubts about the correctness of Government’s recovery strategy, the value of the no-confidence motion is that it will put the administration on public trial. I have been harshly critical of Miss Mottley in the past, but, on this occasion, she has read the terrain well which is the first important step in designing and executing any effective battle strategy. With its parliamentary majority, the Democratic Labour Party (DLP) Government will most likely survive but sometimes there are victories that amount to defeats. They are called pyrrhic victories where the costs of winning are greater than the costs of defeat. So that while the DLP Government is tipped to win because it has the numbers, it can emerge from this battle so badly wounded from the body blows that it is demoralized and forced to count its losses instead of celebrate its victory. In a sense, the no-confidence motion debate can be seen as a kind of dress rehearsal for the next general election. Fully aware that she can lose the vote, Miss Mottley should concentrate on two strategic objectives which are attainable. Firstly, scoring a moral victory in the court of public opinion on the strength of her case against the administration. Secondly, leaving the DLP so traumatized that it loses the will to fight for the foreseeable future. However, the defeat of the Stuart Government –– as much as it will be a surprise –– is also a possibility. Politics, like cricket, sometimes produces major surprises. Back in 1994 when then Opposition Leader Owen Arthur filed the now famous no-confidence motion against then Prime Minister Erskine Sandiford, it was seen as not having a chance of succeeding. It did, however, to everyone’s surprise because of internal discord. Instead of toeing the party line, four DLP MPs followed the dictates of conscience and supported the passage of the Barbados Labour Party (BLP)-sponsored motion, thus sealing the fate of the Sandiford Government. Similar rumblings of discontent exist within the DLP today. Though he has always had a handful of supporters, Stuart has never really enjoyed the standing of a popular leader within the DLP in the way David Thompson was seen. In fact, on the morning of Thompson’s death before the vote was taken for a new leader, there were serious misgivings about going with Stuart. Chris Sinckler, a Thompson ally who was regarded as a future leader, was the clear front runner. The emergence of Stuart, who was not Thompson’s initial choice for Deputy Prime Minister, was subsequently explained as a vote for continuity and stability, seeing that he had acted for five months as Prime Minister during Thompson’s illnesses. Within a year, however, disenchantment with Stuart’s leadership had surfaced and it seemed as if certain persons were moving to ditch him. Hence, the talk about the so-called Eager Eleven. There are DLP persons today who have grown unhappier with Stuart’s performance. They harshly criticize his leadership in private but, as recent history has shown, self-interest in the form of ensuring the DLP’s survival in Government generally takes precedence. If there are such persons in the parliamentary team who are prepared to be true to conscience and can summon the courage of the dissident four of 1994 to put country before party, the administration can lose the vote. It will be interesting, by the way, to see how the two former BLP MPs who now sit as Independents –– former Prime Minister Owen Arthur and Christ Church West MP Dr Maria Agard –– vote in this instance. My guess is that they will abstain. The people have lost confidence in the Stuart Government. The same can be said too for the private sector and our young people who represent the country’s future. The only persons who seem satisfied are die-hard DLP supporters who are dwindling in number. In their estimation, the party can do no wrong. Miss Mottley’s no-confidence motion, therefore, is reflective of the national mood. Taking such action to make a Government accountable for its deeds is a legitimate function of an Opposition in promoting and defending the public interest. The Barbados Constitution does not give legitimacy to political parties. It only recognizes parliamentary representatives, whose job is to champion the interests of the people who elect them. Therefore, the forthcoming debate is an opportunity for MPs to demonstrate they are faithful and true in their role as servants and representatives of the people’s will. Under our existing governance arrangements, a situation can exist where a majority of the people may wish an unpopular Government to go, but the Government can respond by using perfectly legal avenues to frustrate the wishes of the people. This state of affairs undermines the true essence of democracy as “government of the people, for the people and by the people” and confirms the correctness of Jean Jacques Rousseau’s observation about the British governance model, which we inherited through our colonial experience. Barbadians must raise their level of political consciousness and press for fundamental reform of our governance system to ensure that the wishes of the people are always paramount, fully respected and upheld. That inescapably must be a top priority for whoever forms the next Government. Otherwise, democracy, as practised here, will become increasingly meaningless with declining levels of participation. So sad that all you have said here is true.